Cognitive Analytic Therapy (CAT) is most effective in the treatment of depression, anxiety disorders, bipolar disorder, borderline personality disorder, eating disorders, phobias or OCD. Cognitive Analytic Therapy (CAT) explores the problematic ways in which you think, feel and act, whilst offering a collaborative way of understanding the origins of your distress (which are often rooted in early life/experiences or from childhood), and how these difficulties may be maintained by the ways that you have learned to cope or manage your problems, feelings and needs. If you are feeling troubled by your relationships with other people, then CAT might be the right therapy for you. 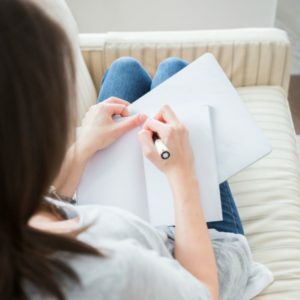 Sessions 1-4: you will discuss your current difficulties and go over your developmental history (any significant events that occurred as you were growing up – positive and negative); your therapist will read to you a ‘reformulation letter’, which is a written account of a shared understanding of the story of your life and how some of your past experiences might be affecting you now. Sessions 5-12: developing a formulation diagram (mapping out patterns in a visual format); use of formulation tools and diaries to aid recognition of unhelpful patterns; and, together, developing exits (revision) from these patterns e.g. coping strategies, new ways of relating. Sessions 13-16: on-going work of therapy plus an explicit focus on endings/ending therapy (particularly if you have had difficult endings or losses in your early life); goodbye letters to and from the therapist read aloud and exchanged. Follow-up at 3 months for review. Evidence from CAT across the various diagnoses as a whole suggests it facilitates good outcomes. CAT is a therapy that clients can easily relate to, regardless of diagnosis. Not many people drop-out once they start CAT – which in itself is very impressive! At My Online Therapy, we have several highly qualified psychologists who are experienced in delivering Cognitive Analytic Therapy. They can also bring this therapy to you within the comfort of your own home or office through our online platform that has been developed exclusively for the delivery of psychological therapy in a convenient and accessible way.